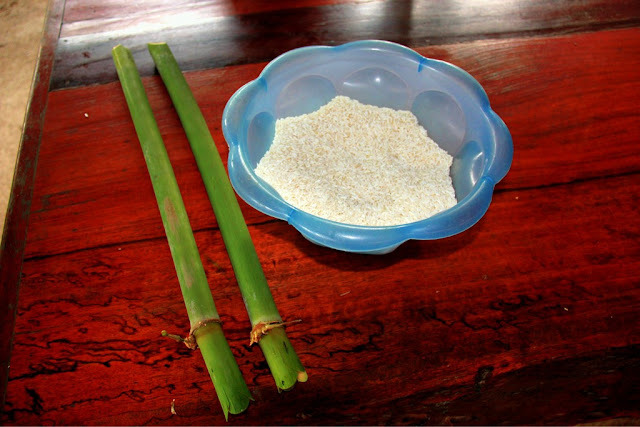 When staying overnight at Thai Elephant Home, Joe taught us how to make bamboo sticky rice like the mahouts do when they are tending to their elephants in the jungle. 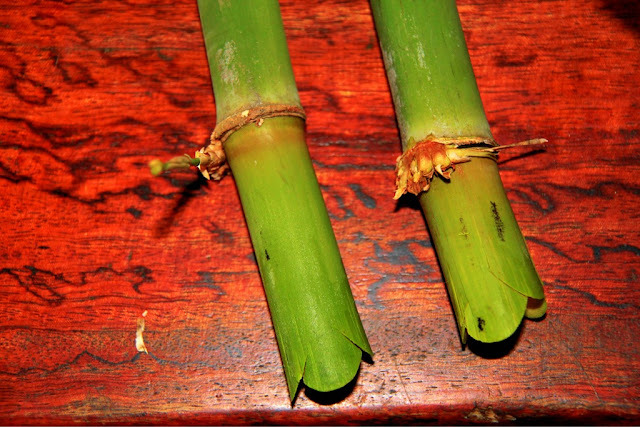 They bring the rice with them from where they live with their tribe, and they use the bamboo, banana leaf and water from nature to do the rest. 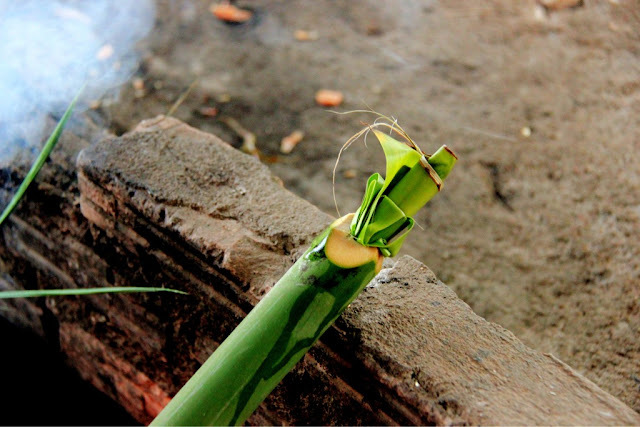 Step 1: Cut a piece of bamboo so there is one side that is closed. 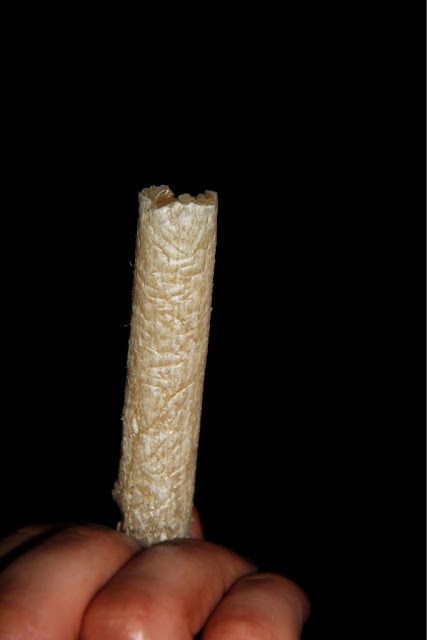 It should be about 1.5 - 2 feet long. 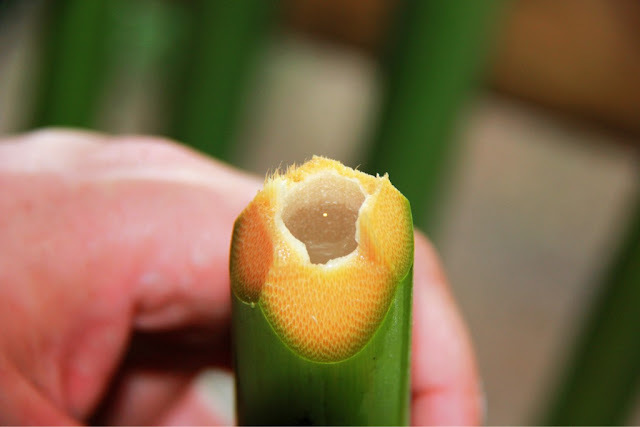 Step 2: Fill the bamboo rod with rice until it is almost full. 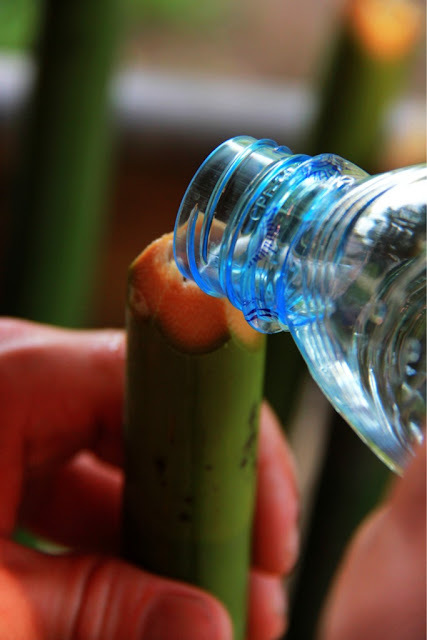 Step 3: Next, pour water into the bamboo until it has reached the top. 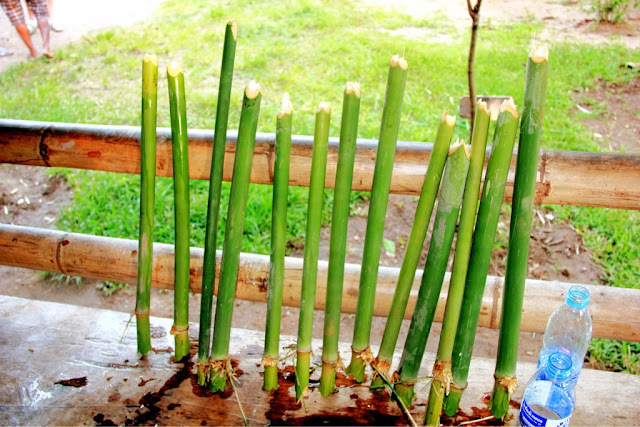 We used bottled water, but Mahouts would use the fresh water that they found in the jungle. 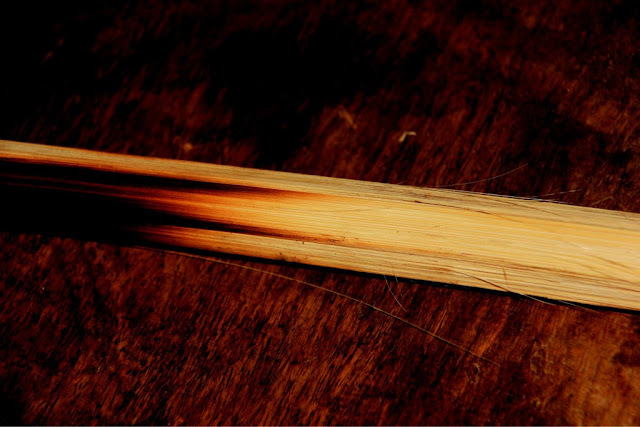 Step 4: Let the bamboo sit for about 30 minutes. 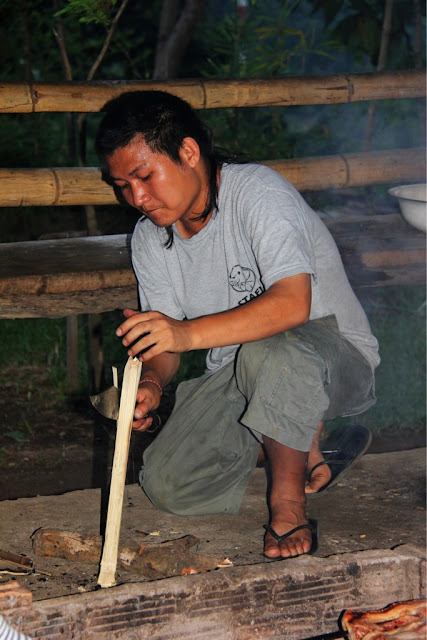 In the wild, the Mahouts wouldn't time it the same way we are used to. 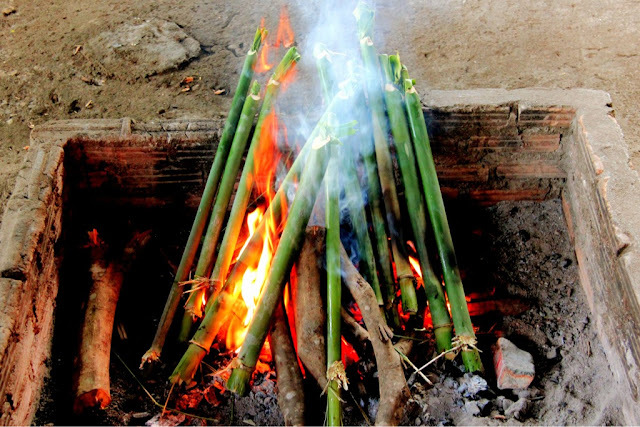 They use their sense of smell to detect when the rice is ready to cook, and when it's done cooking over the fire. 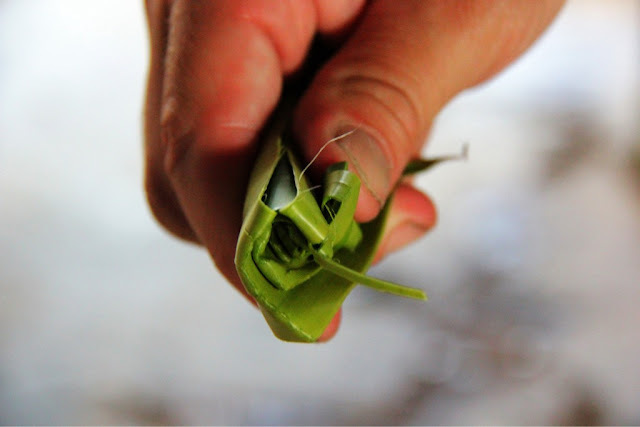 Step 5: Tightly, roll up a strip of a banana leaf and stuff it into the top of the bamboo rod. 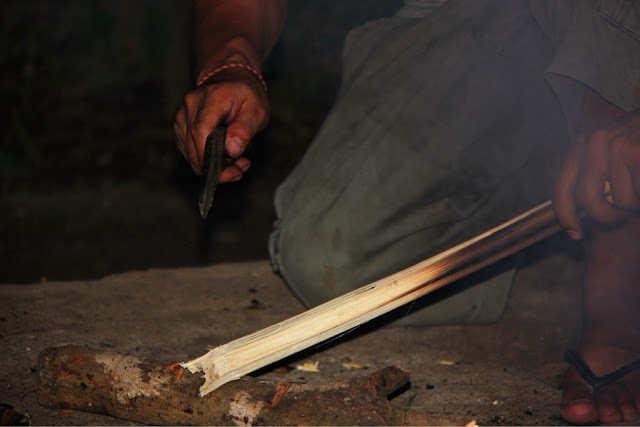 Step 6: Place the rod over the fire and cook them for another 30 minutes. 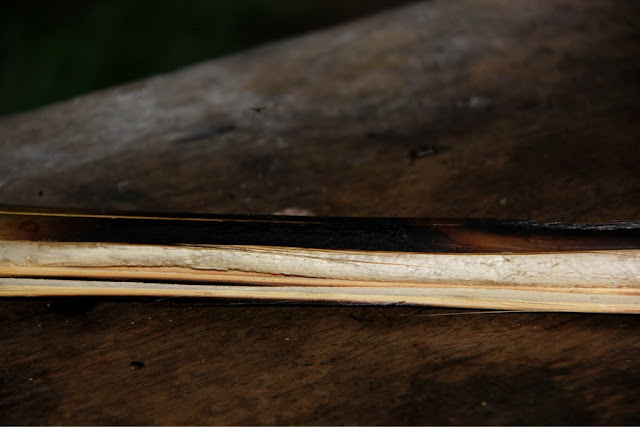 Step 7: When they are done, use a knife to cut off all the charred sides of the bamboo so you don't get dirty when handling it. 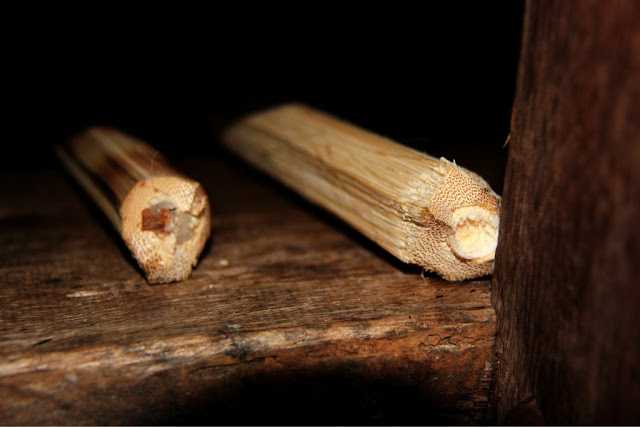 Step 8: Cut off one end and then split the bamboo apart so you can get to the rice. 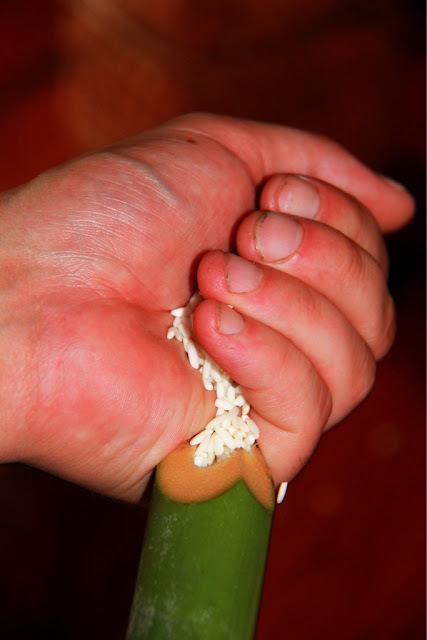 Step 9: Peel out the rice and enjoy!